The owner envisioned his new home to be constructed of hand-crafted stone and placed within an environment reminiscent of his native Ireland. Courtyard and site retaining walls are constructed of the same stone used in the cottage with the intent of marrying site with architecture. 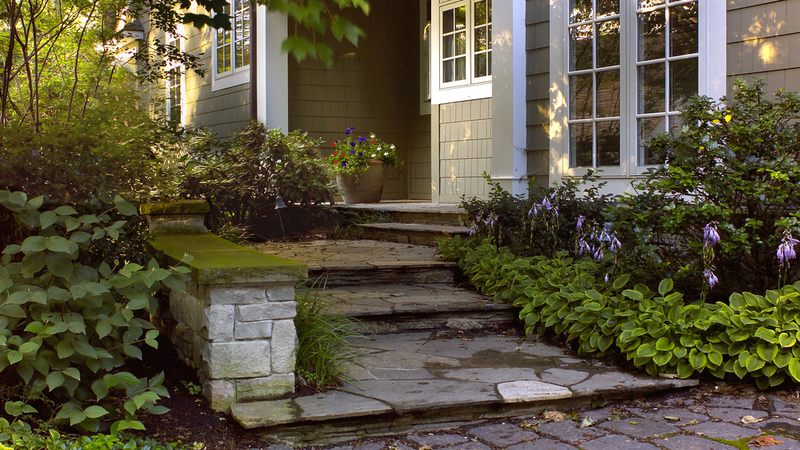 The front and side yards feature a hand laid cobblestone driveway that contrasts with soft textural plantings. 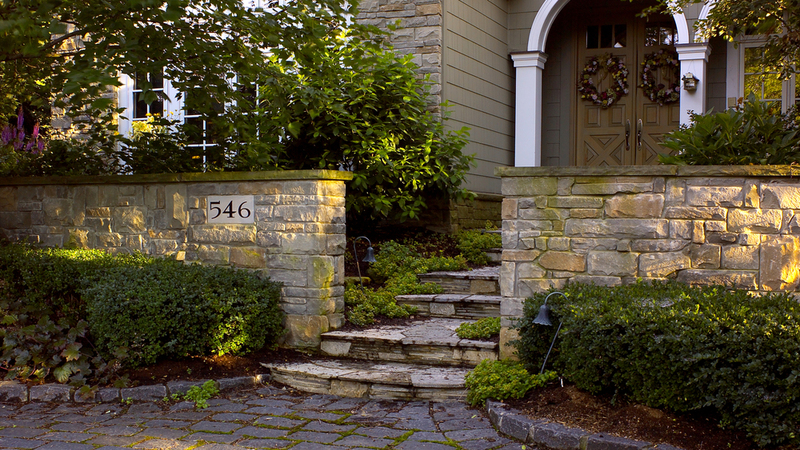 A small rear yard fountain, a custom iron gate and strategically placed rock outcroppings integrate with the site to exude old-world charm.